CDMO Lonza will use the non-viral, gene delivery piggyBac system to improve the titer of difficult-to-express proteins after acquiring the IP rights from Transposagen. The deal brings contract development and manufacturing organization Lonza the transposon-based technology. 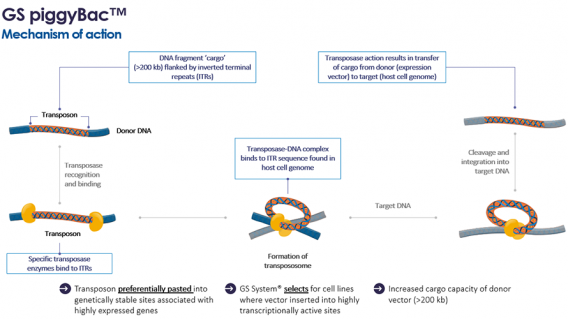 The platform uses an engineered hyperactive piggyBac transposase enzyme to insert expression vector cargos into the host cell genome and preferentially targets stable regions of the genome associated with highly expressed genes. The CDMO says it is now able to offer biopharma customers a licensing package where they can evaluate the piggyBac technology under a Research Evaluation Agreement, with vectors tailored to Lonza’s expression system, the GS Xceed platform, launched back in 2012. 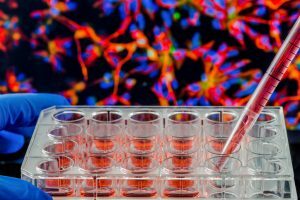 “[The addition] allows us to improve the titer of difficult-to-express proteins, which we see in increasing numbers in development programs – there is a clear move towards a wider diversity of proteins formats that are more complex to produce than ‘standard’ antibodies,” said Holland. “PiggyBac also enables much larger cargos to be inserted, which opens up new avenues for expressing multiple genes at the same time,” she continued, adding one of the current “Holy Grails of bioprocessing” is the ability to use pools of clones rather than individual clones, at least up to GLP tox and Phase I.
Financials of the acquisition have not been divulged, but according to Holland Lonza remains open to adding further technologies to its cell line development offering.